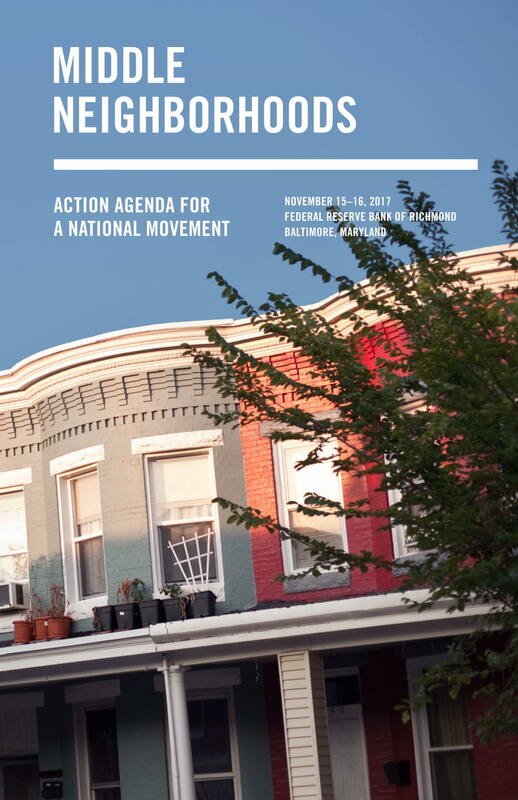 The “Middle Neighborhoods: Action Agenda for a National Movement” meeting was held in Baltimore at the Federal Reserve Bank of Richmond between November 15th-16th, 2017, with support from the Lincoln Institute of Land Policy and Healthy Neighborhoods Inc. Experts from varying disciplines and backgrounds, each familiar with the context of middle-income neighborhoods in cities across the United States, divided themselves into three working groups to advance discussions in policy, practice, and research. Among the participants were the Mayor of Baltimore, Catherine Pugh; Philadelphia City Councilwoman Cherelle Parker; and two Congressional members, Dan Kildee (D-MI), and Dwight Evans (D-PA). 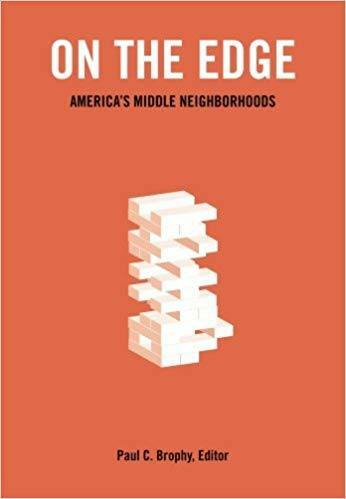 On the Edge, a new book edited by Paul C. Brophy aims to stimulate a national dialogue about middle neighborhoods and features a case study on the work of Healthy Neighborhoods, Inc. 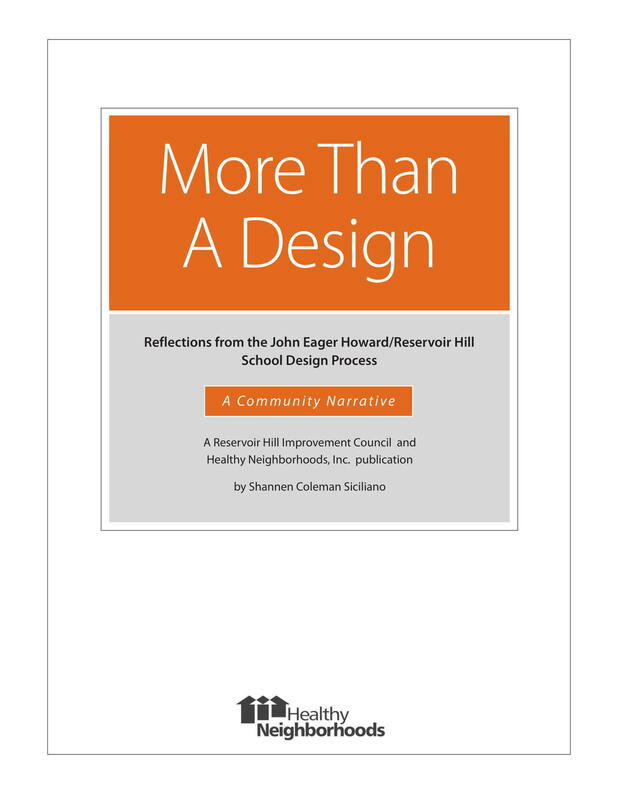 Presented through case studies and essays by leading policymakers, community development professionals, and scholars, this volume explores the complex web of neighborhoods transitioning across America. 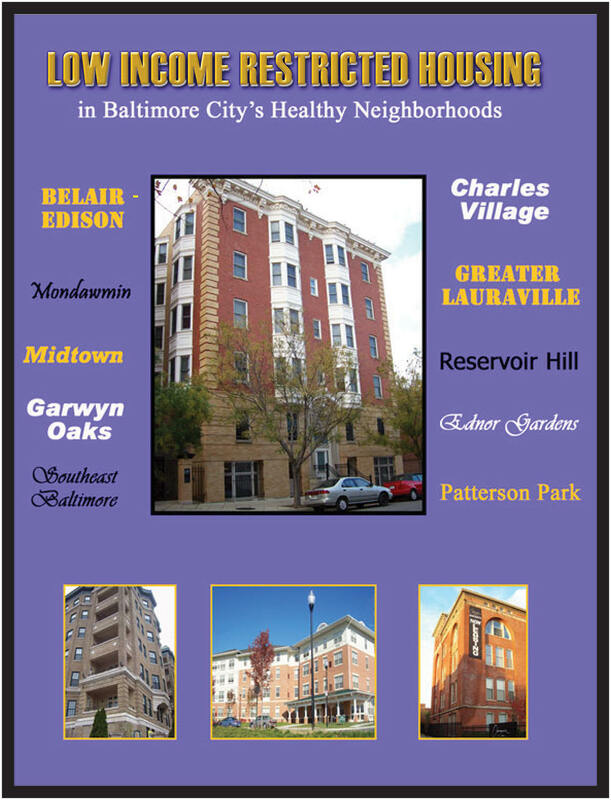 Healthy Neighborhoods asked the Community Law Center (CLC) to identify multi-family income restricted developments in and around the Healthy Neighborhoods (at the time of the study, Healthy Neighborhoods was working in 10 neighborhoods). The study was to determine, among other factors, how much housing was available and when or if it was vulnerable to conversion to market use. We found that most units in and around the 10 Healthy Neighborhoods are not at risk in the immediate future for conversion to market-rate use because of long-term rent restrictions that come with public financing. Through its research, the CLC identified 5,988 subsidized units in and around the Healthy Neighborhoods that have income and rent restrictions: 2,210 units are designated for low-income families; 2,808 units are designated for elderly and disabled residents; 970 units are in mixed-use projects.